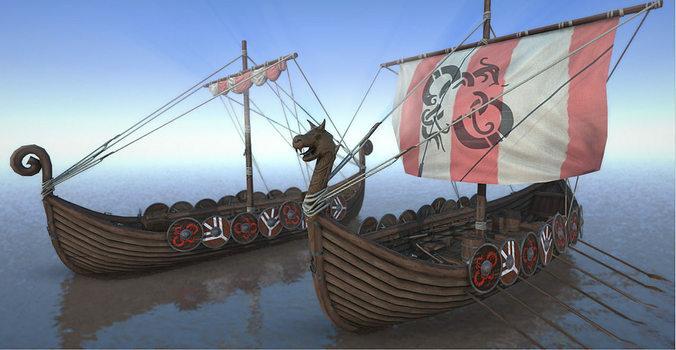 This is a high-quality, game ready 3D model pack consisting of two types of viking ships, a dragon headed warship and a cargo ship loaded with barrels, crates and weapons. Everything was crafted by hand and hand-painted with care. The individual assets on the ship can be disabled/enabled or rearranged, or the weapons and shields can be used for your characters. All images rendered with Unity. Comes with an Unity-Package for easy use in the Engine. All 3D-Files are Maya, 3DS MAX and additionally FBX, so you can use them in every 3D-Software available.